A reader asked if there is any connection between the Hebrew word for wallet or purse - ארנק arnak, and the French word arnaque - "to swindle" (perhaps due to antisemitic associations between Jews and money). That doesn't seem to be the case (not that there's no precedence for antisemitism in language, years ago I heard about how the ASL sign for "Jew" was the same as the one for "stingy"). Arnaque derives from arnaquer, which in turn comes from a German word for harness - "harnacher". This Wikipedia page describes the etymology as follows: harnacher, arnaquer "to amuse, swindle" < harnacher "to harness, equip, disguise". Back formation from Aramaic ארנקי, which is borrowed from Greek arnakis (= sheepskin coat), a feminine noun probably formed through haplology from arno-nakos, a compound formed from aren, genitive arnos (=sheep) and nakos (=fleece). Arnakis may also be the source of the plant name Arnica. On Shabbat, a friend asked me if there was any connection between the word miluim מילואים used in describing the construction and service in the tabernacle (mishkan) and the word miluim used in modern Hebrew for the army reserves. Well, there certainly is a connection, but it isn't so obvious. Let's take a look. But the sense of the word milu'im is that the stones be whole as they were created, and that they should not be hewn stones which were cut from a large quarry or from anything which has been chipped off. ... This is why Onkelos translated [avnei milu'im - avenei] ashlamutha (stones of perfection). The Hebrew term millu'im, "ordination," literally means "filling" the hands, a symbolic act that transfers or confers status or office. Further on, in verses 27-29, we read that parts of the offerings were actually placed on the palms of Aaron and his sons, who raised them in a presentation to God. The biblical formula mille' yad, "to fill the hand," is limited to the appointment of priests and cultic officials. עַד יוֹם מְלֹאת יְמֵי מִלֻּאֵיכֶם כִּי שִׁבְעַת יָמִים יְמַלֵּא אֶת-יֶדְכֶם. "until the day that your period of ordination [miluim] is completed, for your ordination [literally,he will fill your hands] will require seven days." In his dictionary, Ben Yehuda writes that in modern Hebrew, the word miluim is used to mean "supplement", again going back to the root meaning "to fill", but here with the sense of "filling in" something. (The Netziv in his commentary to Vayikra 7:37 explains the usage of miluim as "supplement" here as well, as explained in this article). This is a possible origin of the term miluim for the army reserves, as they supplement the soldiers in the standing army. However, Yaakov Etzion in this article (which discusses many of the points I mentioned above), points out that at the period of the founding of the State of Israel, miluim was synonymous with the older, Talmudic word melai מלאי meaning "merchandise, stock" and was used to mean "reserves" (perhaps this is also related to the meaning Ben Yehuda quoted, but neither he nor Etzion say so). 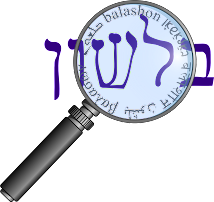 With the founding of the IDF, Ben Gurion called these forces the atudot miluim עתודות מילואים (atudot also meaning "reserves"). But today the two terms have split, with atuda עתודה generally referring to an academic program where the soldier studies in a university prior to his military service in the field of his study, and milium applies to the reserve duty citizens do periodically after they've completed their compulsory army service. In Israeli , tsav shmóne ‘Ordinance 8’ is the document informing one of upcoming (often emergency) reserve service, i.e. of miluím. But this is mere serendipity!